Is it too hot to wear makeup? The short answer to that is yes. It is too hot to wear makeup. On my base, it has been a nightmare. I normally like to slap on moisturiser but it’s too sticky and gross. I’ve been wearing Estee Lauder double wear, which is such a heavy foundation, but I’ve been using a tiny tiny bit blended in with a damp beauty blender. For any eye products, I’ve been using the Too Faced shadow insurance because it really helps to stop shadows creasing and slipping around all over the place. Then powder, with the MAC mineralise skin finish because that locks everything in. 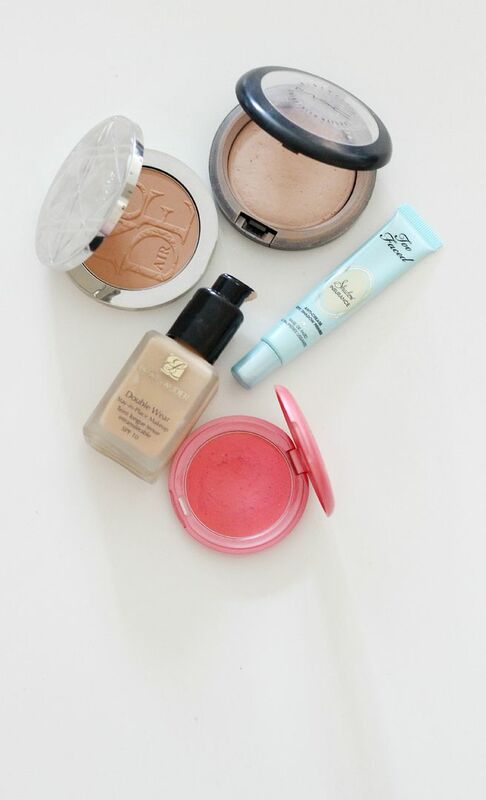 Then some of the Dior bronzer because why not, I am already trying to embrace the warm weather and just go with it. Dabbing on a bit of cream blush feels so much more comfortable than loads of powder. The Stila convertible colour in Petunia is all kinds of gorgeous. It lasts all day and gives a nice glow to the skin. How have you been coping with the heat?